The photo challenge this week is about sharing a three-picture story. I took a look back in my archive of photos I’ve taken with my phone and these three stood out for me. Last Fall my husband and I went to an indoor farmer’s market. It’s a well-known one in Pawtucket, Rhode Island at the Hope Artiste Village. I took these pictures with my phone. The detail and beauty and craftsmanship is brilliant. 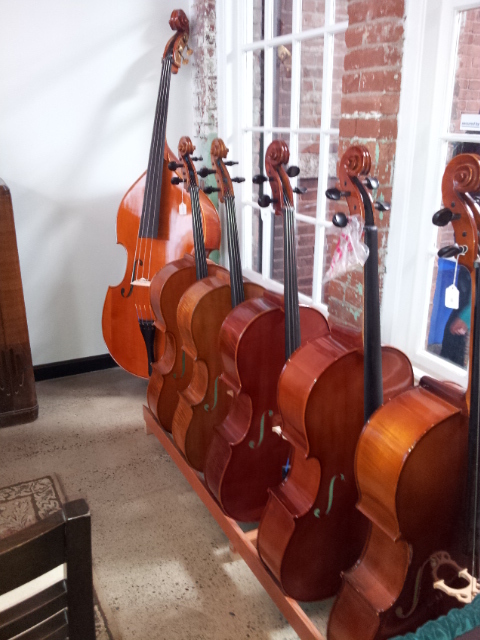 The artist is Dennis McCarten and his shop is McCarten Violins. My younger brother and sister played the cello and violin, respectively. 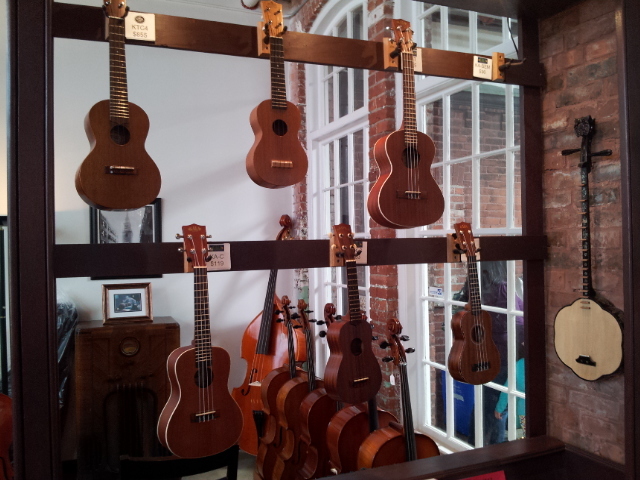 I’m sure I wouldn’t have had an appreciation for the instruments in this shop, had I not subjected to listening to younger siblings practice their instruments or go to their many concerts. The peaceful and low sounds of the cello are something I especially enjoy now as an adult. Today my thank you is for the craftspeople and musicians, who dedicate themselves to filling our lives with music that soothes the spirit and uplifts the soul! I posted a weekly to the weekly photo challenge on my other blog, hope you enjoy it! 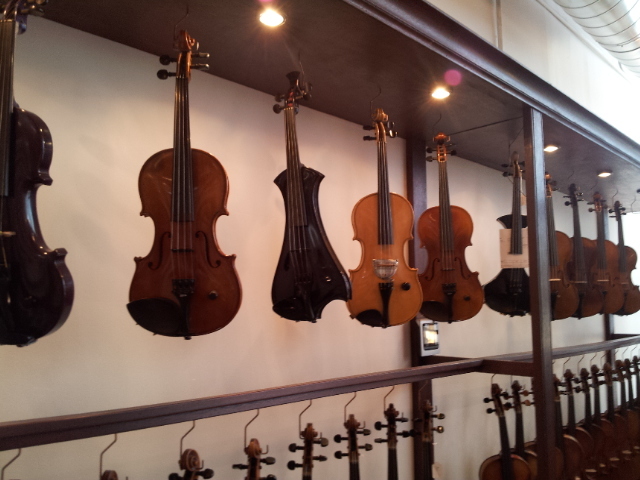 Beautiful instruments. I’ve heard the cello at church and enjoyed it very much. We recently purchased a mandolin for my son and that too is a beautiful instrument. I have no musical ability myself but do appreciate the beautiful music that is shared by others. Thank you for linking your blog to mine as it gave me an opportunity to view your great blog.